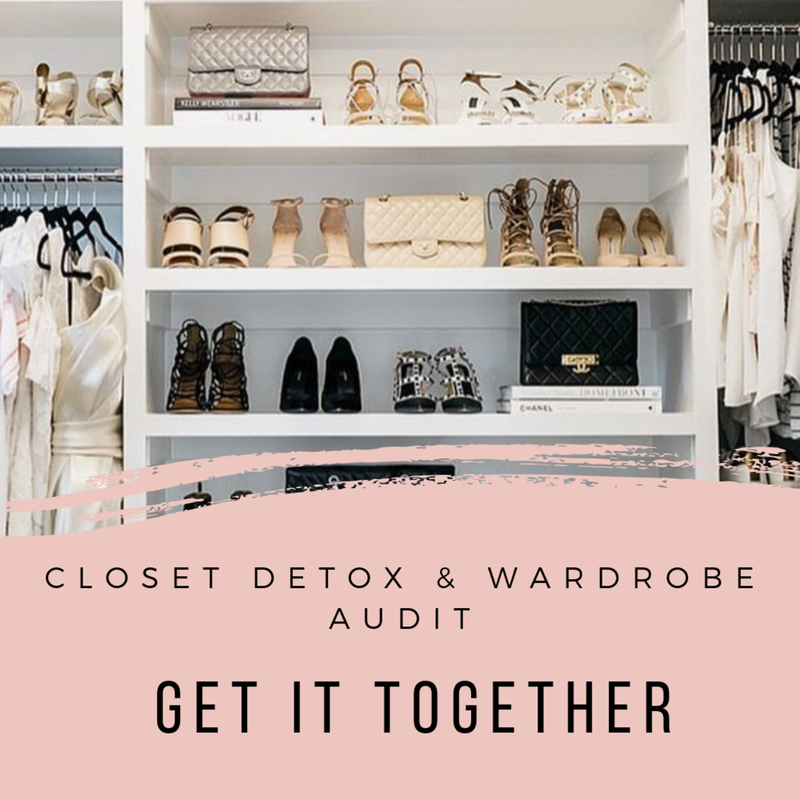 GET IT TOGETHER | Closet Detox + Wardrobe Audit: Let’s admit it, most of us keep clothes that don’t fit or just have sentimental value that you don’t actually wear. I will go through your wardrobe a piece at a time, help you determine what to keep, what to donate and what to consign. After the wardrobe audit is complete, your favorite and most flattering pieces will be organized and put back into your closet. Once we have determined what to keep, I will help you build looks from what you have and decide what you should add. Are you tired of going to the mall and spending hours searching for the right piece? Take the guesswork out of buying clothes! Enjoy a shopping excursion with Nikki picking out items that are tailored to your style aesthetic, lifestyle, and budget. Save money by avoiding those shopping pitfalls your normally have. With a style coach’s eye, Nikki will show you how to create a CHIC.STYLISH.YOU and create room for the right pieces that deserve a spot in your wardrobe. DESIGN YOUR CLOSET: Imagine opening your closet and having everything neatly stored and ready to put on. Imagine being able to put together your outfit as quickly as you can. You’ll be able to better visualize your options, have a place for everything, and stay organized much more easily. 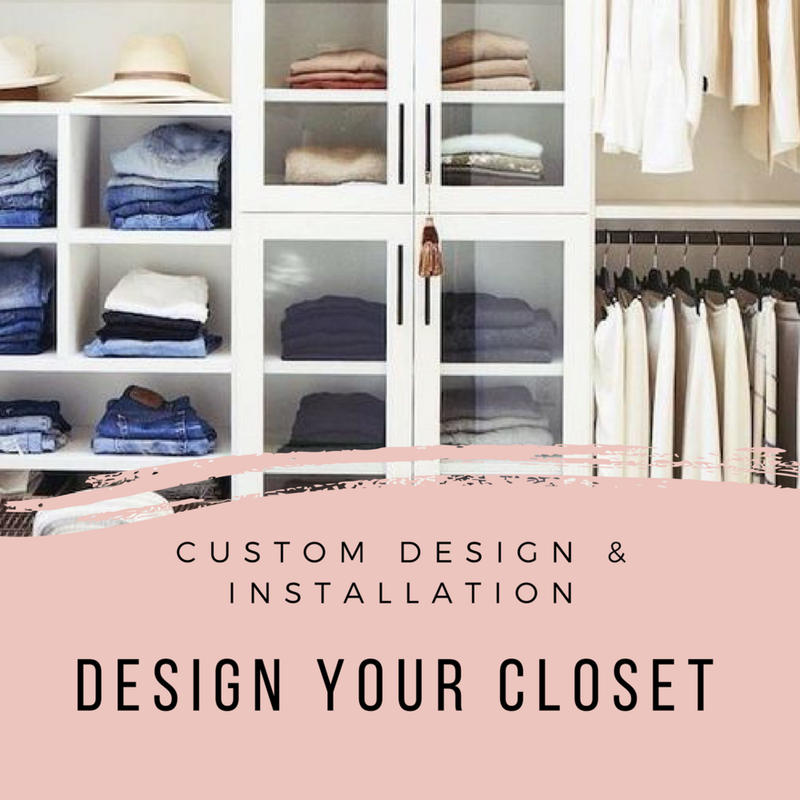 I will help you design your own custom closet; we will customize it to your wardrobe and add special features that make it easier to keep everything organized. You will have several options to choose from such as: shoe shelves, drawers, baskets, belt racks, hidden hampers, valet pole or even a fold-out ironing board. Personalize your closet design with over 10 different closet colors, 4 hardware colors, 4 door & drawer styles, and over 10 different knobs and handles. I ask that you snap a few pictures of your closet prior to your session, so that I can make a quick assessment and recommend the best organizational supplies for your closet space. I will then send you links of the recommended supplies that would help maximize your closet space. Or purchase the best supplies that will maximize your closet space. Whatever you like! Lastly, I will have you complete a style assessment questionnaire that will help me learn what your personal style is. This will also help maximize our time together during your closet therapy session. 1. Discuss your style assessment you completed. We will discuss your lifestyle to identify your true style aesthetic. What message would you like to put out there professionally and socially? 2. A thorough editing process, streaming your wardrobe according to your new style aesthetic. I will help you identify what to keep, donate, and consign. I will guide you on how to best remove these pieces from your closet. At the end of this stage, your closet will be organized and merchandised in a way that will allow you to effortlessly “Shop Your Closet” every day. 3. Once I have everything all organized, we will go through new outfit options and ideas using the pieces you already own. 4. We will create a focused shopping list of what is needed to “fill in the gaps” of your new style-focused wardrobe. These gap items will be added to your virtual closet to purchase. I will send you an email with links for any additional organizing items you may need in your closet to enhance your style and help keep you organized. Now that your wardrobe is functional and organized I will be available for closet touch-ups, creating new outfit ideas or any other style + closet needs you may have.